Happy New Year! We hope you’ve enjoyed a happy and healthy holiday season. We are looking forward to 2018, and thrilled to bring you a new year of exciting events and programs. As Montalvo Arts Center embarks on this new year of investing in artists and nurturing their development and growth through the Lucas Artists Program (LAP), we want to thank all those individuals, organizations, and institutions who make our work possible, especially the Friends of the LAP. We also want to share our enduring appreciation of our artist colleagues, friends, and collaborators whose ability to shine a critical light on the world around us and help craft new ways for us to think about and be in the world seem more important than ever. In 2017, the Lucas Artists Program hosted 105 artists from 18 countries, including Argentina, Azerbaijan, Belgium, Canada, Germany, France, India, Iran, Italy, Japan, Lebanon, Mexico, New Zealand, Rwanda, Syria, Sweden, the United Kingdom, and the United States. These included visual, interdisciplinary and multi-media artists, composers and musicians. It also included twelve poets, novelists, and non-fiction writers from among the 26 Lucas Literary Arts Fellows announced in February 2017. In a busy year of programming, Lucas Artists Program guest artist Taro Hattori’s ambitious new community project Rolling Counterpoint was a definite highlight. Involving collaborations with twelve partners, Rolling Counterpoint consisted of two teahouses: one stationary space installed outdoors on Montalvo’s 175-acre public park in Saratoga, California and one mobile teahouse that traveled to various cities in the Bay Area in 2017 and played host to seventeen public programs. Seeking to launch dialogue about such questions as What does belonging mean in the US today? How can we move past divisiveness to find more peaceful and respectful ways of being together? What does it mean to create spaces of inclusion? and How do we promote a sense of cultural empathy?, the teahouse provided a space for important conversations about the issues that divide us, as well as opportunities to connect and bridge diverse and often disconnected communities. Many artists used the platform of our Open Access program--a program designed to offer audiences a behind-the-scenes view into how Lucas Artists generate ideas as well as showcase works in process and fully realized new work--to explore critical questions and issues that are shaping our public discourse today. Some highlights included: Christy Chan’s live performance The Long Distance Call, a live re-enactment of phone calls between the artist and Miss Anne, a KKK seamstress in Alabama; a conversation between Gregory Sale and invited guests, policy adviser Michael Mendoza and visual artist Dee Hibbert-Jones, about the U.S. criminal justice system and the challenges of creating opportunities for critical dialogue and lasting social change; and Margaret Laurena Kemp’s presentation of a new performance work that explored the politics of silence, space, commodification of flesh, forced migration, and African American myths of flight. Now Hear This!, an outdoor exhibition and sound festival that featured the work of thirty-one different local and national sound artists, composers, instrument-builders, performers, and visual artists for whom listening plays a vital role in their creative process, opened to the public on July 21, 2017. Visitors were invited to consider the following questions: How can listening disrupt or enhance our sense of place and space? Can the act of listening produce new forms of public engagement and awareness? How can we listen more deeply and differently? The exhibition included five newly commissioned site-specific works of sound-based art by national and local artists Taraneh Hemami, Walter Kitundu, Hugh Livingston, Shane A. Myrbeck and Emily Shisko, and Stephen Vitiello. It also featured the launch of Soundings, a new series of immersive audio walks providing visitors with the opportunity to explore Montalvo’s grounds while listening to a diverse range of sonic work by Lucas Artists Composer Fellows and their collaborators. The opening sound festival included a celebration of the life and legacy of seminal postwar composer and sound artist Pauline Oliveros (1932-2016) organized by Lucas Artists Program Composer Fellow Luciano Chessa. We organized two exhibitions in Montalvo’s Project Space in 2017. The first featured a new body of work created by Lucas Artists Fellow Kim Beck during a three-month residency. The exhibition included a series of new graphite drawings and animations, which Beck describes as “reflecting the experience of being alive–the cycle of gestures, choices and actions countered by loss and change.” The second exhibition is a proposal for an ambitious, large-scale outdoor installation and community engagement project by Lucas Artists Fellow Máximo González. In October, We Players founder and Lucas Artists Program guest artists Ava Roy and actress Courtney Walsh presented Mother Lear, a two-woman, one-hour distillation of Shakespeare’s King Lear, designed to invite conversations around themes related to aging, family, and mortality, in Montalvo’s Oval Garden and historic Villa. The production went on to receive a nod from the TBA Awards as a recommended production. After each performance, a special guest whose life’s work involves Alzheimer’s, dementia, and death and the dying hosted a general conversation among those audience members who wished to participate. In 2017 we were delighted to partner with the Bay Area-based media organization, Art Practical (AP), with AP contributing writers serving as Lucas Artists Program columnists-in-residence and creating a series of articles that went behind the scenes of the program to explore the creative work of Lucas Artists Fellows. This new content was published on Art Practical's website and on the Lucas Artists Program Open Access Blog. In addition, Art Practical organized and hosted a South Bay Equity Dinner and Conversation at the Lucas Artists Program in December 2017. This event brought together representatives from many South Bay art organizations and AP staff led a fruitful and productive conversation about building community and sharing resources, while participants explored their experiences in creating visibility, forming leadership opportunities, and engaging audiences to advance cultural equity in the arts. Coming up in February and March, the LAP is proud to present three exciting new Open Access events. Don't miss a single one! Tickets are $10 for members of the general public, and free for Montalvo Members. Click on the links below to purchase tickets. Members, RSVP to Chris Wilcox at cwilcox@montalvoarts.org. Are we alone in the universe? Where does life flourish? 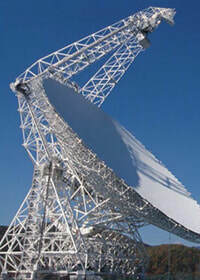 If we could communicate with another civilization on another planet, what would we say? Don't miss Dario Robleto in conversation with Jamie Drew, Chief of Staff and Program Director of Breakthrough Initiatives, as they discuss their participation in Breakthrough Message, a program designed to generate a public conversation about how/what to communicate with possible intelligent beings beyond earth. Agustina Woodgate, Sebastian Bellver, and Stephanie Sherman will also present their ongoing online nomadic broadcasting project radioEE.net. 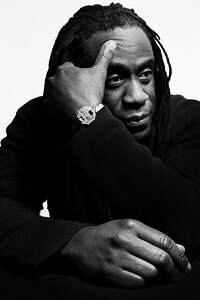 Join us for a vibrant, inspiring evening of poetry and performance with two-time Grammy winning musician and co-founding member of the genre-busting rock band Living Colour, Will Calhoun; acclaimed poets and performersDanez Smith, Monica Sok, and Julian Talamantez Brolaski; and Julian’s country band The Western Skyline. Together, we will experience how these artists use words and music to break boundaries and erase stereotypes; express painful histories and contemporary injustices; and shape new ways for us to see and be seen. Described as a “brilliant musical scientist,” JUNO-nominated composer Nicole Lizée creates music from an eclectic mix of influences, including the earliest MTV videos, turntablism, rave culture, Hitchcock, Kubrick, and 1960s psychedelia. She is fascinated by the glitches made by outmoded and well-worn technology and captures these, notates them, and integrates them into live performance. This new performance will develop from Lizée’s collaborative work with multi-instrumentalist Ben Reimer and the musical duo The Living Earth Show at the Lucas Artists Program. ​KEEP IN TOUCH: If you're an alumni Artist Fellow, we would love to receive updates from you about your projects and accomplishments to feature on the Open Access blog. Please send all your latest news to lap@montalvoarts.org. Friends of the LAP are advocates, donors, and partners with the Lucas Artists Program at Montalvo, who sustain the program as it presents the work of multidisciplinary artists at increasingly high levels and in increasingly ambitious ways. Friends of the LAP enjoy inside access to resident artists and their creative process. Interested in learning more? Contact Emma Moon, Director of Development, at 408-961-5841 or emoon@montalvoarts.org. 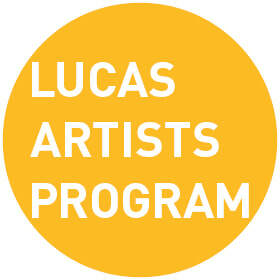 ​What is the Lucas Artists Program? Based at Montalvo Arts Center, the Sally and Don Lucas Artists Program (LAP) is a creative incubator and cultural producer dedicated to investing in artists and nurturing their development and growth. We support artists from all creative disciplines and geographical locations to create and present new and experimental work and undertake critical investigations of contemporary issues. We provide artists with time, space and support to test out new ideas, take risks, forge new collaborative relationships, and cross-pollinate ideas through our international artists residency. We commission artists working in and across all disciplines to create new and innovative work. We also generate opportunities for audiences to engage with artists and their creative processes through varied program offerings. Find out more about the Lucas Artists Program at Montalvo Arts Center here: blog.montalvoarts.org.